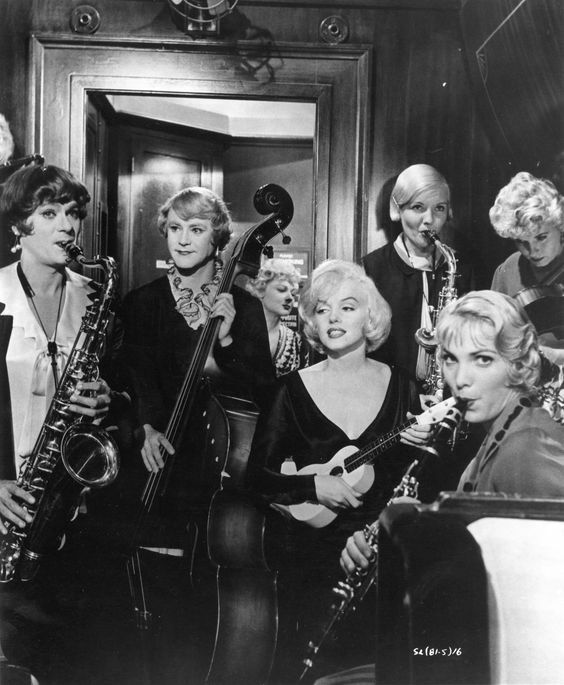 Nutshell Plot: 2 down on their luck musicians (Jack Lemmon & Tony Curtis) witness the St Valentine’s Day massacre in 1929 Chicago & are forced to join an all-girl band to escape retribution by the Chicago mob. 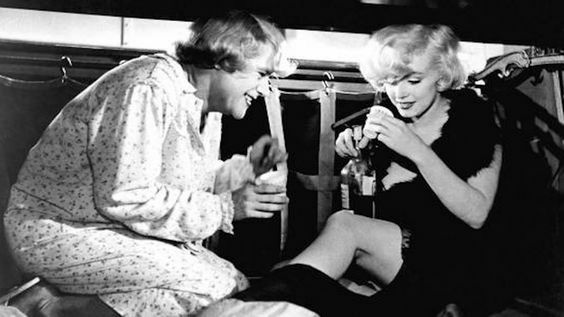 ​Thoughts: Some Like it Hot is all about the fluidity of identity; men become women, poor become rich, & heels (pun intended) become sensitive. 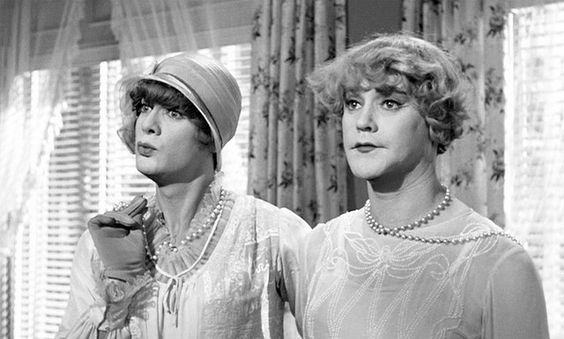 Billy Wilder’s master class in verbal & physical comedy leaves no gender marker untouched as musicians Joe (Tony Curtis) & Jerry (Jack Lemmon) go on the lamb as Josephine & Daphne among Sweet Sue & Her Society Syncopaters. Gender becomes a fluid mishmash of heels, wigs & padding as the 2 men attempt to fool as many people as possible to stay alive, while Spats Colombo (George Raft) seeks to eliminate the only witnesses to the St. Valentine’s Day Massacre. 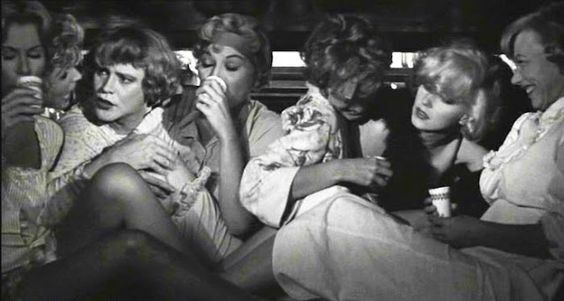 Wilder’s camera offers at equal opportunity leer as he both undermines and propagates sexual & class stereotypes. Nobody is who they seem, unless they are too stupid or uncaring to be anything than what they are-I’m looking at you Osgood Fielding III (Joe E. Brown). Even the identity of the actors themselves is open to the complete parody that pervades the entire movie. The beauty of the complete endeavor, however, is that Wilder & co-writer I.A.L. 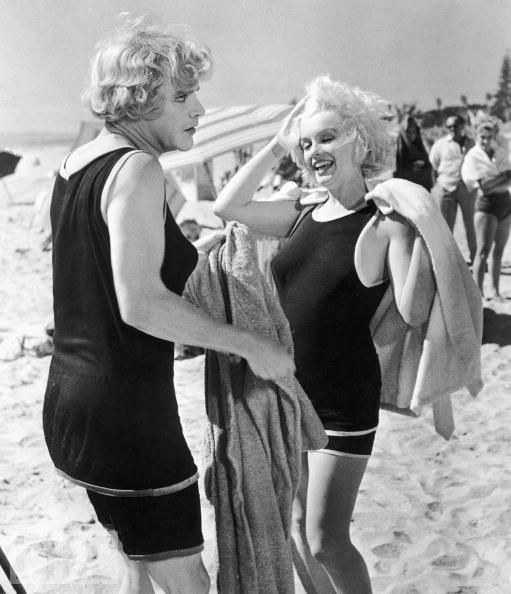 Diamond subvert everything in the name of comedy, making Some Like It Hot as sly & knowing a take on gender as has ever been produced in Hollywood. 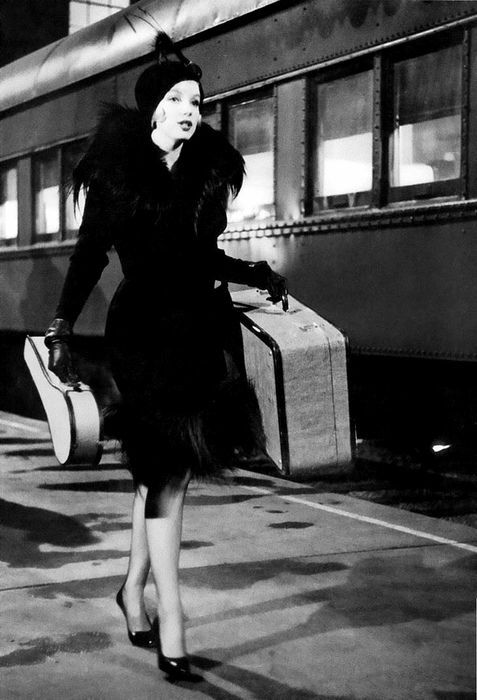 In perhaps one of the most famous sequences in movie comedy, Wilder shoots firstJoe/ Josephine & Jerry/Daphne & then Sugar Kowalchek (Marilyn Monroe) from a low angle & from the rear as they walk on the train platform. Josephine & Daphne wobble on high heels, commenting on the trials of women’s attire, noting “how do they walk in these things?” and “it’s so drafty it’s a wonder they don’t catch cold.” Monroe, on the other hand, glides past the two, allowing them to join the viewers’ ogling of Sugar’s behind, while they continue to comment in admiration “it’s like jello on springs,” just as a burst of steam punctuates the shot. The sequence sets in motion the dynamics of sexual identity that will be played out over the course of the movie by putting the viewer in a position to laugh at & at the same time enjoy the vast differences between the sexes. While Wilder is content to comment on & make fun of sexuality & sexual politics, he first fully establishes a dynamic of ‘the couple’ in the relationship between Joe & Jerry. They work together, share resources & bicker like a romantic couple, with Curtis adopting the more stereotypically dominant & scheming ‘male’ role & Lemmon falling into the agreeable & befuddled ‘female’ role. 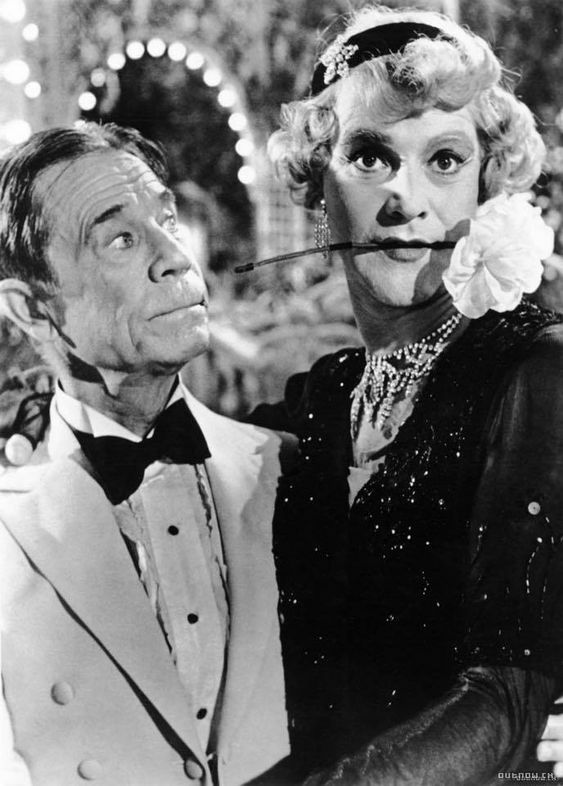 Even as they act & dress as men, gender stereotypes are at play in Wilder’s world. Joe controls the money, foolishly & impulsively betting away their overcoats on a long shot dog race. Jerry nags Joe to be more sensible with money, making plans to pay back debtors and find a good meal. As the film progresses and they take on the roles of Josephine & Daphne these gender stereotypes become more pronounced and exaggerated. Jerry/Daphne completely loses his sense of gender when he accepts a marriage proposal from a man as Daphne & Joe/Josephine acts as confidante & suitor of Sugar at the same time, leading to a full on public kiss while dressed as Josephine. That they become lost in their identity serves both the comedy & the greater comment on gender fluidity. Once the band arrives in Florida, Wilder again flips the roles with Joe pursuing Sugar as Shell Oil air Junior, Sugar pursuing Junior because he’s a millionaire & Osgood pursuing Daphne, well, because she’s Daphne. Joe/Junior controls all the cards, however, because as Josephine, Sugar confessed her dream man to him, so he just plays the part. At the same time he is able to push Jerry/Daphne together with Osgood in order to woo Sugar and further his deception as a millionaire. In yet another scene of simple comic genius, Wilder’s script has Osgood & Daphne dancing a tango, first with Daphne leading, then with a shared rose in their mouths and finally, with the band blindfolded, using a table cloth to maintain a little extra shimmy! Daphne comes home engaged, while Junior is able to share a romantic evening on Osgood’s yacht. While on the yacht Junior enacts the most cunning deception of the entire film when he pretends to be a cold fish, ruined by the death of his young lover in an accident at the Grand Canyon. 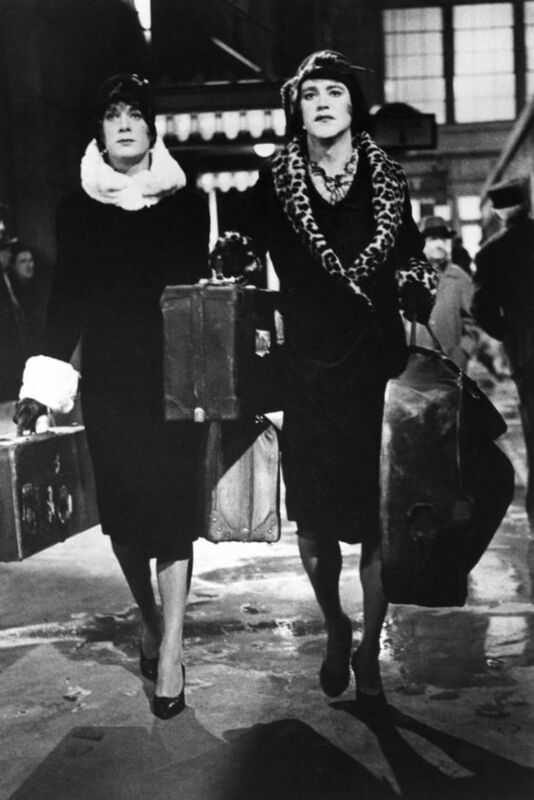 When Tony Curtis can utter lines like “girls kinda leave me cold” & “I’ve been thrown a dirty curve” one initially thinks that he’s using coded words for homosexuality, not just frigidity. Casting forward to the final line in the movie, which we’ll get to later, could it be that Wilder is twisting the gender identity corkscrew one more time? Instead, Sugar offers Junior the best kind of therapy for a broken heart: multiple and increasingly passionate kisses. Reluctantly he allows her to ply him with drink, adjust the mood lighting & music & finally have him lay down on the couch in order that she can properly seduce him. If Junior/Joe plays the perfect deception, Wilder & Diamond put a wonderful stamp on gender politics by letting the most beautiful woman in the world work hard for an intimate encounter. Since they both come home head over heels in love, clearly the work paid off for both parties. ​Identity isn’t limited to sexual roles, however, because once things become fluid, Wilder & Diamond amp up the duplicity to work in comments on class and wealth. Josephine & Daphne fain airs of conservancy musicianship, Sugar claims to be a debutante & Joe a Shell Oil millionaire. The deceptions are meant to be comical, of course, but the absurdity of each allows Wilder to twist language to emphasize that wealth, education & class are not mutually exclusive. Daphne’s disgusted ‘fresh’ after having her backside patted by the band’s manager leads to concern for the band’s language in the company of such refinement. Sugar allows for her current state in life as having been cut off by her father for joining a band, while Joe/Junior pledges $1 million dollars to the milk fund for kisses from Sugar. *Basic storyline was taken from a German remake (Fanfaren des Libe-1951) of a French film (Fanfare d-amour-1935). 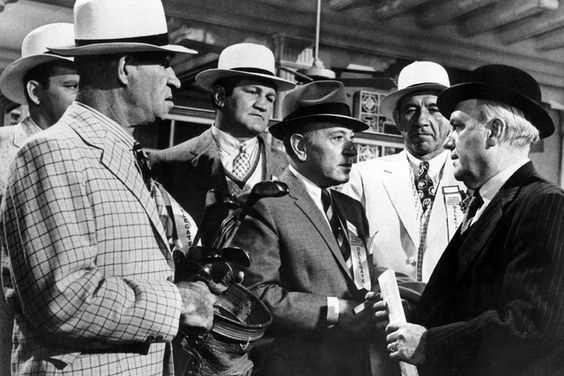 Wilder Times: The Life of Billy Wilder. Kevin Lally. Henry Holt & Company 1996.